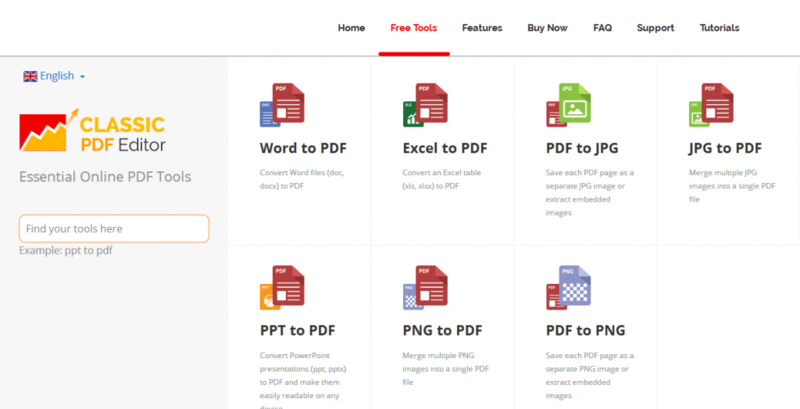 We at Classic PDF are proud to announce that we have just launched seven completely free to use online file format conversion tools. Now, thanks to our fast conversion tools, you can convert commonly used file formats like Word (doc, docx), Excel (xls, xlsx), JPG, PPT and PNG to the world’s most reliable file format; PDF. We also wanted our users to be able to convert their images saved in PDF to a decent image format. And this is why two of our new online tools also allow you to convert PDF files to JPG and PNG. All this is absolutely free and if you buy our alternative to the Adobe Acrobat then you can also create, view, convert, edit, combine, modify, bookmark, fill, annotate, import, export and email PDF files. Moreover, you get all these features at just a fraction of the price that Adobe charges its customers for Acrobat. All these features are sure to blow you away but you have not even heard the best one yet. By paying a small, one-time amount, you can gain lifetime support for your version of Classic PDF Editor. Our software has an impeccable record and after being used and reviewed by thousands of people, it maintains an excellent rating of 4.9 out of 5 stars. But, you do not have to take our word for it. Try the software for yourself by starting your free three-day trial today! Founded in 2002, Classic PDF was started to provide people with a free, fast and totally secure file format conversion tool. 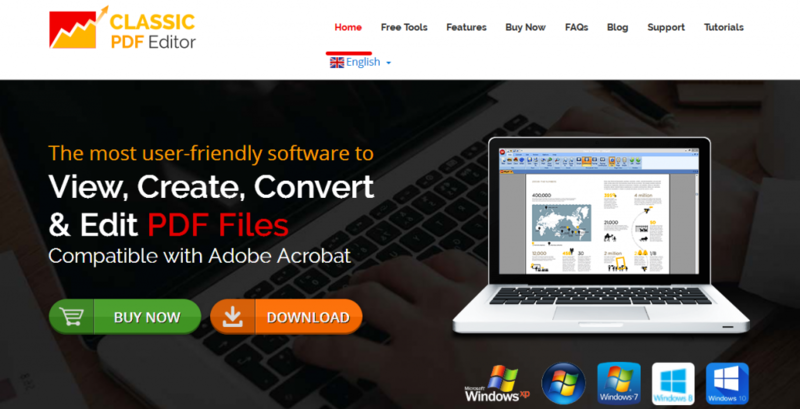 One free conversion tool led us to another and today we are offering 7 different file conversion tools on our website. Now you can convert Word to PDF online and you will not be charged a single penny for it. As time went on, we realized that even though PDF was the most commonly used file format in the world, if people wanted to edit PDF files, their only option was to pay for Adobe Acrobat. Adobe did something unheard of in 1993 when they made their PDF reader available for free. But, from a business point of view, the move was genius. That’s because once people started relying on the format, they had no option other than having to buy Adobe’s PDF editor. Since then, Adobe has been charging huge amounts for its Adobe Acrobat Pro software and today it is priced at around $500. We saw how unfair the whole situation was and how badly everyone was stuck with the software and so, we decided to challenge Adobe’s monopoly by introducing our very own PDF editor. We have packed in all the greatest and latest features in our Classic PDF Editor but, in comparison to Adobe Acrobat Pro, our PDF editor is priced at a very friendly price of only $25. Classic PDF Editor has seen a great response from the tech industry and almost everyone who uses it only has good things to say about it. Our PDF editor has earned several awards from many respected online software platforms. We have received eleven different “Editor’s pick” awards and one award for being the most popular software on a professional software platform. Websites like Software Informer, Softoxi, Soft82, Download Atlas and Planet Soft have thoroughly tested our software and pushed it to its limits. All of them gave our PDF editor a perfect score of 5 out of 5 stars. “I am a research fellow at the University of San Diego. I need to compose research papers frequently. During the preparation of my documents online, I often have to come across the PDF files containing valuable information that needs conversion to Word for editing and reviewing purposes. Upload the file you want to convert. Click on “Choose file” if the file is on the computer. If the file is on your Dropbox account, you can get it from there by clicking on the “Dropbox” button. And if the file is somewhere else online, you can enter the URL by clicking on its designated button. Here you will enter the email address you want the converted file sent to. Emailing the converted file helps keep it safe. And there you have it. Your file has been converted and sent to your account.